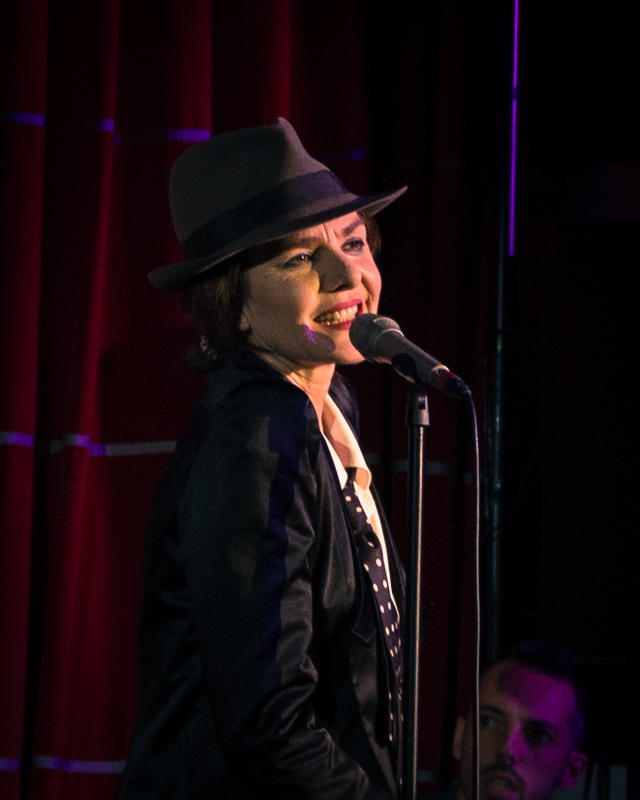 For one night only jazz artiste Lucy Dixon brought her eclectic taste in 20th century music to the Crazy Coqs’ art deco basement. Notwithstanding a distinctly Parisian twist to her act, her routine defiantly straddled the Atlantic with a set-list that dated deliciously back, nigh on 100 years. As a performer Dixon is blessed with exceptional technical skills – her voice is pitch perfect (an a cappella take on When I Get Low I Get High in her encore was stunning) and she liberally dilutes her vocal turns with perfectly syncopated tap routines throughout the gig. 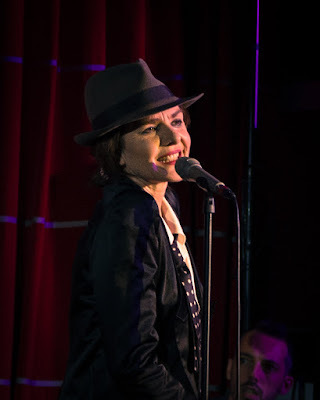 But as a cabaret gig at the Crazy Coqs Dixon misses the mark, rarely crossing the “fourth wall” to reach out to her intimately placed audience. Her perfectly harmonised trio are a delight in support, but Dixon loses herself in too many flights of self-indulgency, including a mangling of Gershwin’s Fascinating Rhythm, mashing the lyrics into a barely audible blur. There were times when the talented, gamine and oh so chic performer resembled more of a marionette or even worse, an animated background singer providing “live muzak” rather than the shared personal narrative that can truly make for a fulfilling cabaret gig. With a bit more self-revelation, an evening with Dixon could yet prove to be stunning. As Hamlet’s Gertrude might have said, more patter with less tap. 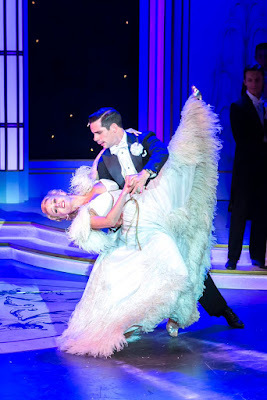 Stephen Mear’s take on Top Hat, just opened at Leicestershire’s Kilworth House Theatre is further proof that for this summer at least, the very best musical theatre openings are all taking place outside of London. Top Hat is one of those shows that feels like it should have been around forever, but is in fact a relatively new arrival to the stage. The show premiered in London only a few years ago with a new book from Matthew White and Howard Jacques that was lovingly based upon the RKO film of the same name. Fans of both dance and Hollywood will of course know that Top Hat (the movie) is arguably the partnership pinnacle of Fred Astaire and Ginger Rogers. So in putting on his Top Hat, Mear has extremely large shoes to fill – and he fills them magnificently. The story behind the show is the most ridiculously light-hearted piece of froth – theres’s farce, dropped trousers, mistaken identity and a multitude of malapropisms. It’s as corny as heck, but as the comedy greats of years gone by have demonstrated, this type of comedy is the toughest to master. Mear and his cast however don’t just master the gags – they make them soar. The timing is spot on throughout and aside from the song and dance, the contributions from Ashley Knight as the much put upon valet Bates and Stephane Anelli as Alberto Beddini, an Italian fashion designer / Lothario, are a masterclass in comedy cameos. 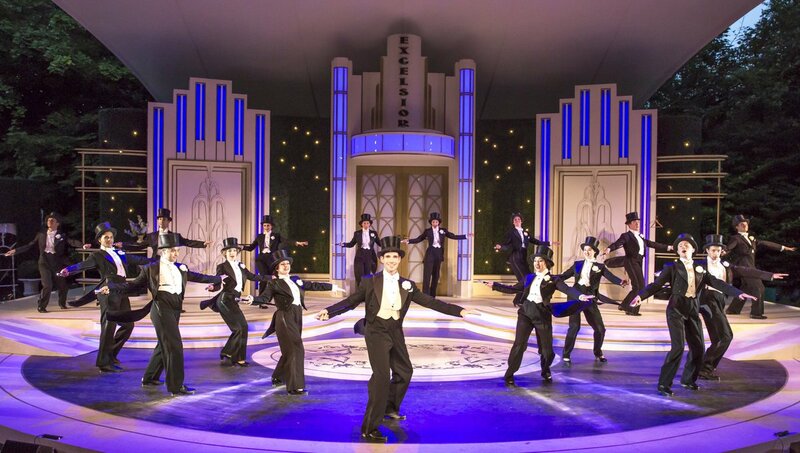 But of course Top Hat is all about hearing those beautiful Irving Berlin songs and seeing them danced to perfection. The lead role of Jerry Travers is taken by Dan Burton – a performer who has much history with Mear – and the director knows just how to coax magic from this talented man. On stage virtually throughout the first half (and much of the second) Burton brings his mellifluous tenor voice to the show's classic songs in a way that earlier productions just haven’t been able to reach. 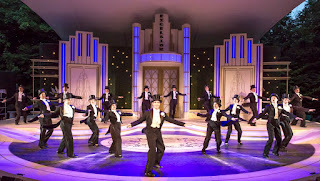 As the show opens with Puttin’ On The Ritz, from the number's very first bars the evening’s standard of song and dance is defined. And as is Mear’s way, the ensemble have been drilled to ruthless perfection – to watch these routines is to float away in an ethereal delight. Opposite Burton, Lauren Stroud plays the feisty Dale Tremont. 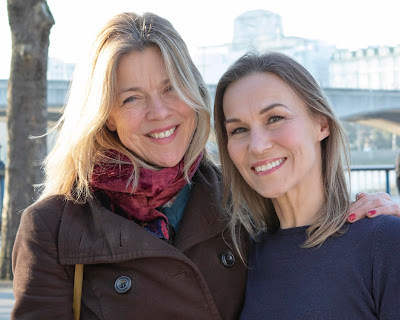 Stroud mirrors Burton’s dance talent from the outset, and when we eventually hear her sing (well into act one with You’re Easy To Dance With) it’s a delight that has been well worth the wait. The two lead the show perfectly. In close support as the lead comic protagonists, Charles Brunton and Nia Jermin are wonderfully cast as Horace and Madge Hardwick. Their overstated comic lampoonery (and Brunton’s buffoonery) is perfectly weighted, making the narrative flow effortlessly. When they finally get their chance to sing in the deliciously anti-romantic, Outside of That, I Love You, its yet another barrel of (beautifully sung and danced) laughs. There is excellence elsewhere, nestling in the show’s company with barely a programme credit to show for it. Daisy Boyles puts in a fabulous turn leading the delightful What Is Love? routine, while the footwork from the enchanting Chantel Bellew, dancing opposite Burton in an early routine, is another of the many gems that encrust this production. Berlin’s melodies demand a strong band and Michael England’s 11 piece ensemble, tucked just off stage in a marquee, immaculately capture the elegance of the era and its melodies, with toes set tapping from the overture. 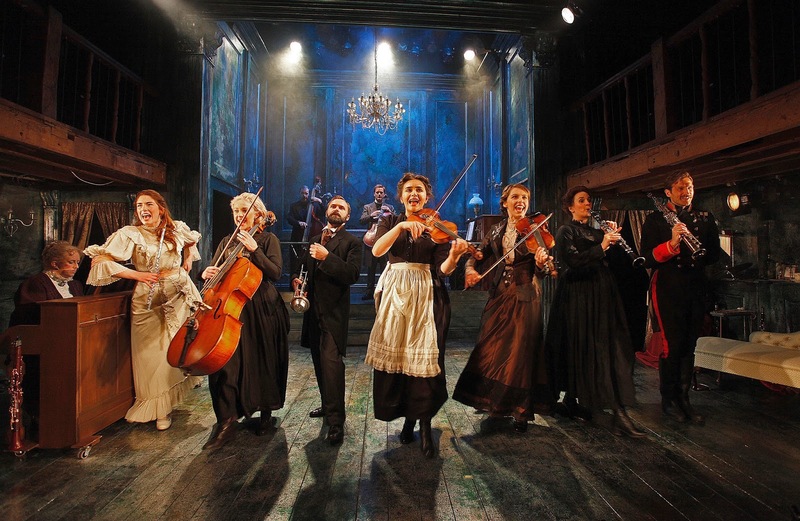 The show's songs are massive and England’s orchestra rise magnificently to the challenge. The open-air setting of Kilworth House is skilfully tackled by the show’s team. 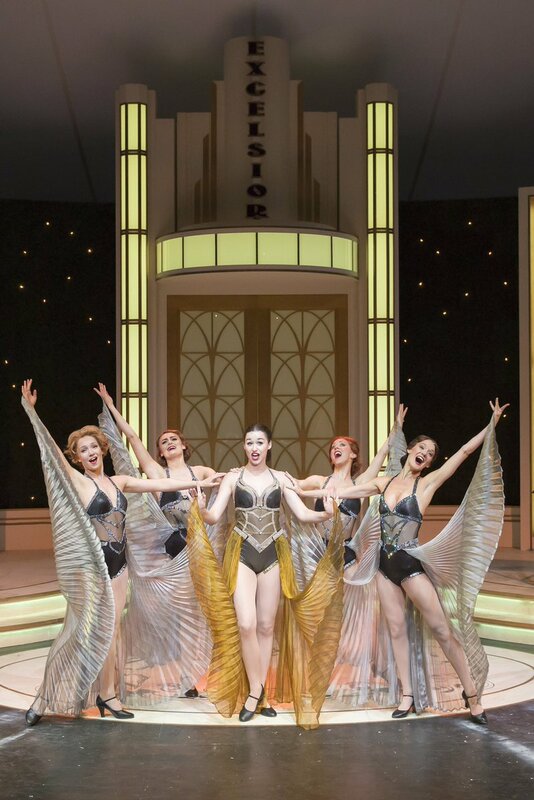 Morgan Large’s set offers an Art Deco vision that is as ingeniously multi-functional as it is dreamily elegant, never overshadowing the performers, merely enhancing their work. Similarly Chris Whybrow’s sound design works well with the venue’s unconventional acoustics – not a word or note is missed, while Jason Taylor’s lighting work takes on an increasingly subtle beauty as the sun slowly sets. 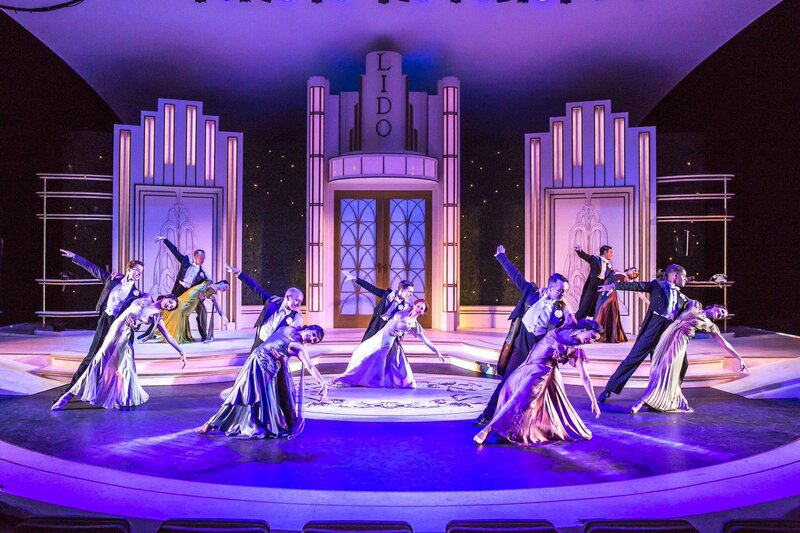 There's no finer finer tribute to the American Songbook in the land, but only a very privileged few will get a chance to savour this masterpiece of musical theatre - the run is completely sold out! Sunday In The Park With George is probably the most mind-bending, time-bending poly-mesmeric musical of recent decades. Stephen Sondheim (again working his fruitful partnership with book-writer James Lapine) has ingeniously fashioned the show around a study on George Seurat’s famous painting A Sunday Afternoon on the Island of La Grande Jatte. Act One revolves around Seurat himself, in 1884 Paris. The pointillist painting is taking shape, consuming the artist’s attention as Dot, his mistress and sometime model, endures the rigours of both posing for him and competing for his attention over the emerging picture. 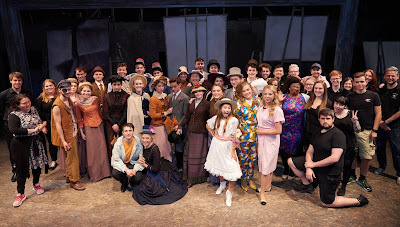 The true genius of Sondheim’s work in this half of the show is to build characters and songs around the people that Seurat includes in the picture. As more and more faces and images become defined, the act builds towards a stunning crescendo. The second half shoots forward 100 years to New York. Georges’ great-grandson – also named George – is an artist, working like his predecessor with color and light. This however is the late 20th century and in place of a canvas, George’s creation is the electronic “Chromolume”. His elderly grandmother Marie (the daughter of Georges and Dot) provides a link through the generations, and as George is invited to France to make a presentation on the eponymous Parisian island, time and characters merge into a whirl, with Sondheim weaving the complex themes of love and art into a tapestry of the human condition. It says much for the National Youth Music Theatre (NYMT) that they have amongst their young company the talent and resource to deliver what is unquestionably an impressive take on this most adult of musicals. The narrative demands that Georges / George and Dot / Marie are played by the same performers and Thomas Josling and Laura Barnard make fine work of leading their troupe. Barnard has form with the NYMT having grown with them over the last couple of years. Josling however is a newcomer and together they create a compelling chemistry. Their duetted numbers are magnificent throughout, with Color and Light proving a particular treat. Amongst their solo responsibilities Josling’s Finishing The Hat is a classy turn, while Barnard’s careful interpretation of Children And Art, captures a special sensitivity. Chissick has fashioned some gorgeous work from her cast who are all in their teens or early twenties, with the full company numbers proving a delight. Sunday, the pre-interval song (reprised at the finale) is spine-tingling in its intensity. This cast are at their best in the second half, where Sondheim’s dialog allows them a more comfortable immersion into the modern idiom. Technically, as ever, the NYMT offer creative excellence. Alex Aitken intuitively directs his chamber-sized 6 piece band (also all young players) to deliver Sondheim’s complex melodies, while Sam Spencer-Lane’s choreography, Matt Kinley’s set design and Jason Denvir’s costuming go a long way to creating firstly the illusion of Seurat’s 19th century Paris and then after the break, the cliched pretensions of New York’s modern art community. The themes of Sunday In The Park With George are immense and complex and Chissick, alongside the NYMT should be rightfully proud of what this company has achieved. It's only on for one more night in what is deservedly a sold-out success. It’s a surefire treat after a hard day of toil or tourism, to slip into the comfort of an collection of songs from the Sherman dynasty. 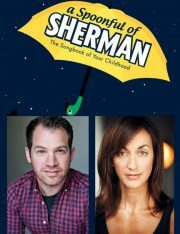 In a show last seen at what is now The Other Palace, Robert J. Sherman (Robbie) 4th generation tunesmith and son/nephew of the legendary Sherman Brothers (Richard M. and Robert B.) has brought his carefully curated compilation across London for a two week residence in the Art Deco charm of the Crazy Coqs’, Live at Zedel. The gig is badged as The Songbook Of Your Childhood – and the description is spot on. Mary Poppins and The Jungle Book, two of Walt Disney’s biggest hits of the 1960s were scored by the Sherman Brothers and if one then throws in Chitty Chitty Bang Bang from James Bond’s Ian Fleming, the place of the pair in songwriting’s pantheon is assured. 50 songs are referenced in a 90 minute whirl as Sherman offers fascinating glimpses of narrative into the lives of his antecedents. That the set list also includes such pop hits as You’re Sixteen and Let’s Get Together only evidences the breadth of the Sherman Brothers’ careers. As one would expect, performers Helena Blackman and Daniel Boys bring a crisp technical skill to the numbers, with glimpses of the songs’ original magic occasionally shining through. Boys positively relishes every moment of Wind’s In The East, giving a passionate enthusiasm to his performance that would more than match any of the stage Berts that have preceded him. Christopher Hamilton accompanies the pair on the piano, with a turn that spills into a celebration of irreverent excellence, including a stunning take on The Ugly Bug Ball. Robbie’s recent offering of Bumblescratch makes up a pleasing portion of the second half, but for all the family’s multi-generational talent, this show lives and breathes the genius of the Sherman Brothers. Love, laughter and history – it’s all here in a charming evening’s entertainment. “Never Leave A Man Behind” is the pact made at the very start of Imaginary. A simple declaration of trust, loyalty and friendship that in many ways lies at the core of this endearing zany, and almost Pixar-esque musical, a show that marks the 2017 return of the National Youth Music Theatre (NYMT) to London’s The Other Palace. Creating good new musical theatre continues to be a challenge across the industry, but Timothy Knapman and Stuart Matthew Price can be deservedly proud of their achievement. Knapman’s book and lyrics indulge in glorious wit and charm, complete with thrilling revelations and even the odd cliff hanger. Price has written an equally dreamy score, with melodies that you can’t help but find yourself whistling all the way home. Under Shaun Kerrison’s direction the NYMT company (ages 11 – 23) rise to the challenge of putting on a new musical with apparent ease. Kerrison captures the natural energy of the youngsters at all the right moments, yet never loses sight of the show’s clarity. Imaginary follows the friendship of two young boys, Milo (Tom Price) and Sam (Josh Gottlieb). As Sam’s only friend the pair do everything together, playing all day and letting their imaginations run wild. It all seems too good to be true until Sam starts secondary school and he and Milo find themselves facing a whole new dilemma. Aged 13 and 11 respectively, Price and Gottlieb turn in compelling perfomances that drive the show’s sense of adventure and discovery from the start. Their energy makes the piece a rollercoaster for audiences, played out against a backdrop of the universally recognized concepts of imagination and childhood. There's some great work too from 11yo Lizzie Wells as Sam's schoolfriend Alice. The tunes are gorgeous with She Played Guitar, Imaginary, The Adventurers Code and Upgrade Time all proving equally wonderful numbers, the latter in particular featuring some stylish choreography from Anthony Whiteman. Among the entire cast there isn't a weak link, with Charlie Ingles having done some cracking work, both on the ensemble’s harmonies as well as the score's orchestrations. At a time when many producers struggle to bring new writing to a stage, yet again the NYMT’s Jeremy Walker delivers just that. Both book and score are tremendous and if last night’s audience are anything to go by, Imaginary will be bringing about tears of laughter, sadness and just sheer awe at this company’s remarkable talent. The enchanted narrative of A Little Night Music sees the summer night famously smiling three times: once upon the young, again upon the foolish and finally, upon the old. With Paul Foster’s production can now be added a fourth smile, the one that falls upon an extraordinarily talented musical theatre company. Alongside his musical supervisor and arranger Sarah Travis, Foster has seen this most lush of Stephen Sondheim’s scores (all in waltz-time, to the cognoscenti) reduced to the demands of an actor-musician company, yet retaining all of the original’s magic. It is understood that Sondheim only agreed to his compositions being so arranged if the work was to be carried out by Travis - and one can but hope that in the next few weeks the man himself will hop across the Atlantic to enjoy her remarkable adaptation. Unusually for www.jonathanbaz.com, the paragraphs that follow are as much a review as they are, quite simply, a roll call of excellence. Josefina Gabrielle and Alastair Brookshaw lead the show’s coterie of romantic fools with their Desiree Armfeldt and Fredrik Egerman respectively. Gabrielle is perfection as the much desired actress, maintaining a poise and presence that is both elegant and seductive. 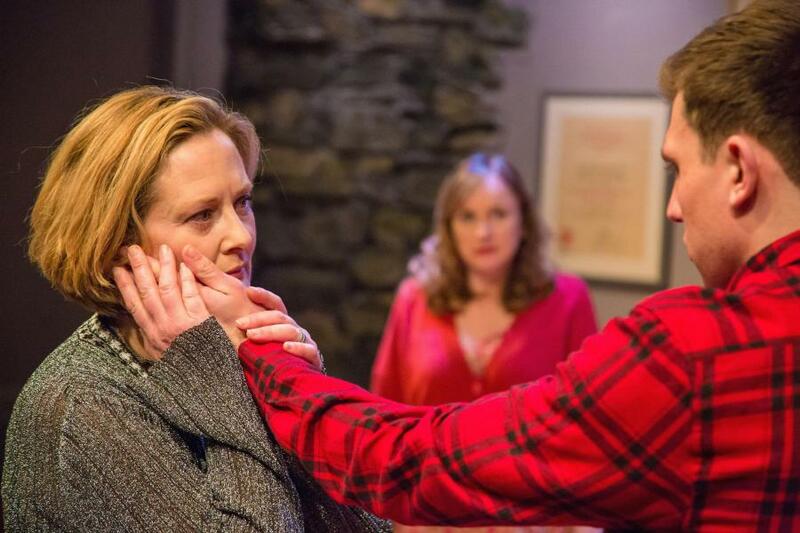 Passionate lover, absent mother and truculent daughter, Gabrielle nails them all tackling the hilarious irony of The Glamorous Life (as well as the delicious comedy of You Must Meet My Wife) perfectly. The show’s fame is probably eclipsed by that of its torch song, Send In The Clowns which since the 1970s has been many a diva’s hallmark. Gabrielle takes this most challenging of numbers, making it her own. Her understanding of the lyrics’ undulating nuance is crystal clear and in the song’s pre-finale reprise, the pathos is as heartbreaking as it is inspirational. Brookshaw’s Egerman is a masterclass of pitch-perfect acting through song, his choral training bringing an elegant crispness to the role that is rarely seen. Egerman is a man capable of the most bungling ineptitude alongside the purest of passions and imbued by Sondheim with some of the wittiest moments in the canon. Brookshaw, the most talented of tenors, plays the role wonderfully, convincing in his undying love for Desiree. The quartet of fools is completed by Alex Hammond’s Count Carl-Magnus Malcolm and Phoebe Fildes as his wife, the Countess Charlotte. Hammond’s clipped dragoon is a monstrous misogynist, filled with testosterone and a misplaced bravado in place of brains. His is a man and husband that is simply too awful to believe, while visually, his muscular physique alongside Brookshaw’s diminutive frame only adds to the evening’s wit. And then there is the genius that is Dillie Keane, an actress who’s surely spent her life preparing for the dowager role of Madame Armfeldt. Her lines are minimal but Keane captures the grande-dame’s witty, loving irascibility to a tee. In the first half, her take on the reminiscences of Liaisons is a treat, while in the finale and without a trace of mawkish sentimentality she holds us in the palm of her hand as the summer night finally smiles upon the old. The youth of the tale are played by Lucy Keirl as Anne, Frederik’s wife of 11 months and young enough to be his daughter, Benedict Salter as Fredrik’s troubled son Henrik, grappling with the conflicting desires of a burning lust and a commitment to the priesthood, and Tilly-Mae Millbrook as Desiree’s illegitimate daughter Fredrika. All three capture their roles’ responsibilities with an immaculate craft. Keirl’s anguished bride, still virginal, defines Anne’s complex combination of youthful innocence with feminine intuition and we believe in her throughout. Salter’s Henrik is sensational - gifted with some stunning solo moments (alongside some outstanding cello work) he brims with an angst and self-doubt that, when his pent-up love finally spills, only offers yet another of the evening’s many highlights. Millbrook is every inch the wide-eyed teenager. A girl who’s wise beyond her years, her Fredrika is both a loving granddaughter and a knowing companion to her mother. As the audience are left stunned by Send In The Clowns, another of Sondheim’s master strokes is to send in the Egermans’ maid Petra, to swirl her skirts in the red-blooded whirl that is The Miller’s Son. Christina Tedders steps up to the part with a palpable passion as she brings Matt Flint’s choreography to life. Tedders delights throughout the show with her one-liners and truly makes the most of this cracking song. The show’s chorus of Liebeslieders, often unsung heroes, are essential to a strong A Little Night Music and here Rachel Dawson, Alexander Evans, Alice Keedwell and Neil Macdonald bring a vocal magic (alongside a musical talent that pervades the entire ensemble) that seamlessly shifts both time and location – and again one witnesses excellent work from Flint. Tom Marshall’s sound design is stunning. Every word and note is audible, with sound effects subtly blended in to enhance the suspension of our disbelief. Alongside in the creative team, David Woodhead’s ingenious design of distressed grandeur captures the fading elegance of a Sweden long since disappeared. Howard Hudson’s lighting work is yet another sensation - for a show that’s set in “perpetual twilight” Hudson cleverly suggests the Northern midsummer sun. 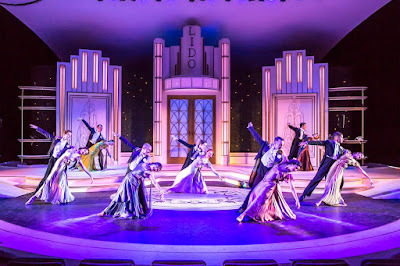 In what is quite probably the best musical to have recently opened in the UK, one can only hope that the summer night can smile once more and perhaps see the show transfer to the wider audience it deserves. Until then, head to Newbury and the Watermill’s manicured lawns. A Little Night Music is truly unmissable musical theatre. Willemijn Verkaik, originally from The Netherlands, is best known for playing Elphaba in the West End production of the internationally adored musical, Wicked. She’s performed the role in 4 countries and after storming Broadway in 2013, is the only actress to have sung the role in three languages. Additionally, Verkaik is known for her performances as Kala in Disney’s musical Tarzan (in Germany), as well as lead roles in Women on the Verge of a Nervous Breakdown and Mamma Mia. The evening marked Verkaik’s second London concert in as many years and after her previous roaring success, two of Wicked’s current and past Glindas, Suzie Mathers and Savannah Stevenson, joined her, alongside current West End talent Tyrone Huntley and Celinde Schoenmaker. Verkaik’s vocals were flawless throughout the informal evening and it’s no wonder that she’s been entrusted with one of the most vocally challenging roles in the canon, across the globe, for nearly a decade. It has to be said about the high belting performer that, despite all of her deserved success, there is a quirky awkwardness to her character that keeps her wholesomely grounded. In her self-deprecation and an ability to laugh at herself, she is nothing less than endearing. In a bold move, Verkaik broke down the barriers of simply sticking to a typical musical theatre set, by introducing decade-spanning pop and folk numbers. Particularly well received was a George Michael medley that closed the first act. However, despite the 90 minutes of vocal gymnastics, one must question the actual reason behind producing the concert - or rather the seemingly lack-there-of. Less well received on the night was an acappella mash-up of numbers from Wicked, sung as a trio between Verkaik, Stevenson and Mathers. The medley, while at points impressive, was occasionally vocally sloppy and not to the standard that would be expected of three Broadway and West End leading ladies. The arrangement came across as all too quickly thrown together, dragged on for far too long and seemed to fail in carrying the audience’s interest. This messy "last-minute" vibe can in no way be applied to Theo Jamieson’s 8 piece band, with the musical director's keyboard playing proving crisp and precise, pouring pure class into each number. Similarly the skill displayed by violinist Ciaran McCabe was nothing short of breath-taking. McCabe's performance in one of Verkaik’s own songs, A Little Smile, was one of the gig’s most moving moments. The highlight of the evening however was unquestionably Verkaik’s duet with Huntley, the West End wunderkind and a wow in both Dreamgirls and Jesus Christ Superstar. The pair brought the audience to silence with a stunning rendition of the 80’s power ballad, How Do You Keep The Music Playing. Huntley’s vocals were faultless and it is no wonder that he is the most interesting and promising talent in Britain at the moment.